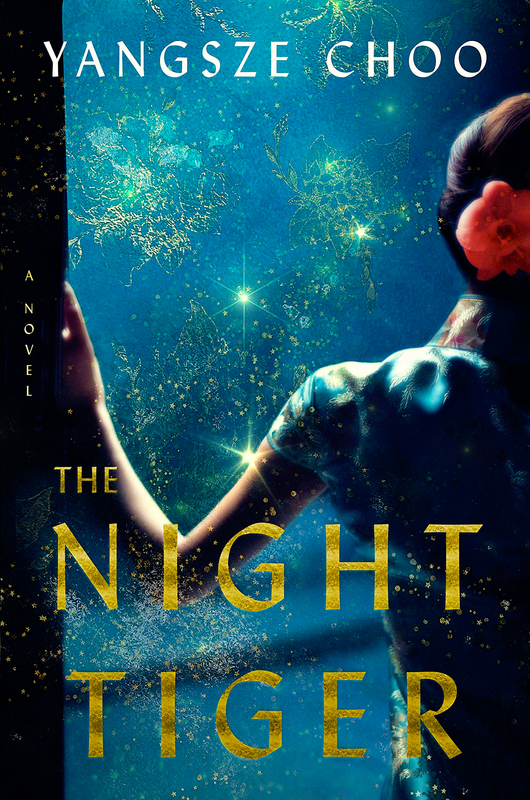 “The Night Tiger” by Yangsze Choo is a highly acclaimed fantasy novel that National Geographic so aptly called “A lushly detailed novel imbued with folklore, mystery, and romance.” It was dubbed one of the Best Books of the Year (So Far) by Refinery29 and A Most Anticipated Book by Glamour, Real Simple, Parade, Bustle, Goodreads, and many more media outlets. This novel explores history, mythology, and gives a stunning example of the Asian American experience in 1930’s Malaysia under British rule. Described as perfect for fans of Isabel Allende, an expert in magical realism, this is Choo’s second New York Times bestseller. Without much argument, critics agree that “The Night Tiger” deserves every bit of the acclaim. It begins with the clever Ji Lin who has found herself stuck in an apprenticeship she doesn’t like to escape her hardened stepfather, while she moonlights as a dancehall girl to help pay off her mother’s Mahjong debts. One of her dance partners drops a small, gruesome token and leaves it behind, thrusting Ji Lin into a mystery: whose finger is in this bottle? Why did it have to be her who found it? How can she return it to its rightful owner? Quickly the story turns into a dark world of lore and legend. Next we meet the eleven-year-old houseboy Ren who is on a mission to fulfill his previous master’s dying wish before 49 days are up. Then, after those 49 days, his master’s soul will be stuck wandering the earth in search of what he lost. Guided by the spirit of his deceased twin brother, Ren has always lived his life in an intimate relationship with death. “The Night Tiger” takes the reader along with these sharp, dynamic characters as they try and escape the same fate as the unfortunate men and women who have fallen to violent deaths at the rumoured paws of men who turn into tigers. Ren and Ji Lin find themselves with no option but to race the clock as their paths weave together through lavish parties, harrowing dreams, and hospital storage rooms, ticking down to the 49th day. Yangsze Choo gives the reader a brilliantly layered tale of myth, mystery and coincidence that leaves us wanting more. Her powerful themes of colonialism and class control lay beneath a solid foundation of writerly skill — it is no wonder this novel became an instant bestseller. “The Night Tiger” is woven with lovely imagery, cutting prose, and a strong sense of purpose. This novel is for those of us who dream of making something new, something just for ourselves, out of the world in which we have been placed. It is for the women who seek, and have sought, for control in their own right. It is for the people who have, and still are, working to tell the truth about the past so we might move forward with honesty and bravery. It is for those who love a book that reads like art; suave and potent. This book is for those who crave beauty carved out of the hard truth. It is for those who find bits of of magic and myth wrapped up in their daily lives. But, most of all, “The Night Tiger” is not for the faint of heart. It is boldly written to challenge the reader to think, expand their views, and really examine their preconceived notions of life (and death).